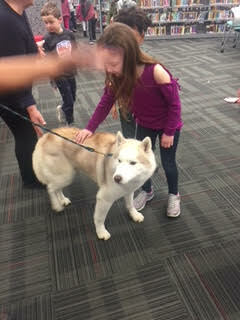 The Goodrich Way: Iditarod---and a Four-Legged-Friend! 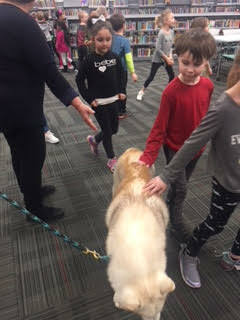 You will never believe the experience we had in the First Grade Puppy Pound today! We have been tracking the Iditarod sled race over the past couple of weeks. The Iditarod is a race that began as the solution to an epidemic. The town of Nome was hit with the illness, diphtheria in 1925. If medicine did not reach the people in Nome, Alaska in time, children would die from diphtheria. So, an idea was born. They called a meeting and decided that they would do an Alaskan dog sled relay. The medicine would be transported by each team for one leg of the trip, until it finally reached the town of Nome. The relay began, and thanks to the dedication, perseverance, and heart of the teams, the medicine reached the townspeople and many lives were saved. Today, the race is run as a symbol of this first great race. In first grade, we follow the Iditarod and track our mushers progress along the trail. 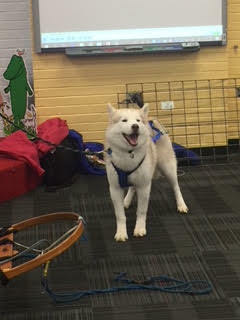 The students love seeing the progress their mushers make, and they love to see pictures, news updates or articles about the dogs on the trail. 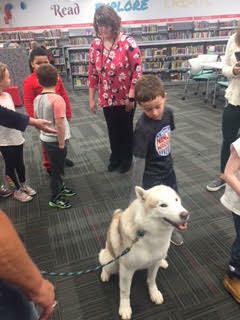 We couldn´t have been luckier to actually see a real Siberian Husky in person today at Goodrich School. 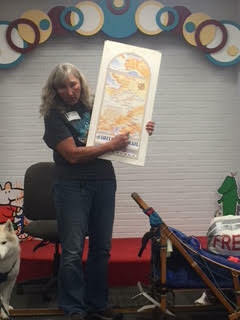 We had a presentation from Carol Preble, who has been to Alaska numerous times over the years, and has first hand experience in the race. She brought a racing sled, the supplies that are needed for the long trip, and amazing photographs that captured every leg of the trip and all of the behind the scenes footage that occurs on the trail. 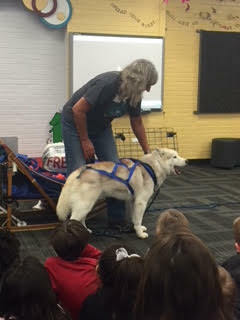 And most importantly, she brought a sled dog! 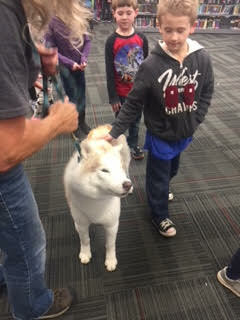 Flint was so cute, obedient and the very best visitor! 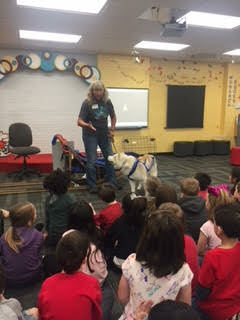 A special thanks to the Goodrich PTO for providing this opportunity for us! Check out the amazing pictures below!